Renault CAN Clip V183 with AN2131QC Chip is designed to diagnose Renault cars models including automatically test all Renault models' computers, reporgramming, airbag test and other functions.Renault CAN Clip Diagnostic Interface works on Renault cars 1996 to 2017, Engine automatic gear shifting, Air conditioning system, SRS, ABS, ASR, MPL, GM, IMMO, Keyzess GO system, OBD-I I and so on. Language: English,German, French, Italian, Spanish, Finnish, Swedish, Danish, Norwegian, Dutch, Romania, Portuguese. How to Crack Renault Can Clip ? 2. Then run RSRwin.exe, choose "Register me now" and in the next window select "No"! 4. Use this Key for Registration: 333DEF-111DEF-111DEF-222DEF-221DEF-000DEF, It will work until 31/12/2020. Q: Renault Can Clip all four indicator light flash, but when I enter the diagnosis menu, the CAN indicator light off and can’t establish connection, while the other three ones go on flashing. What should I do? 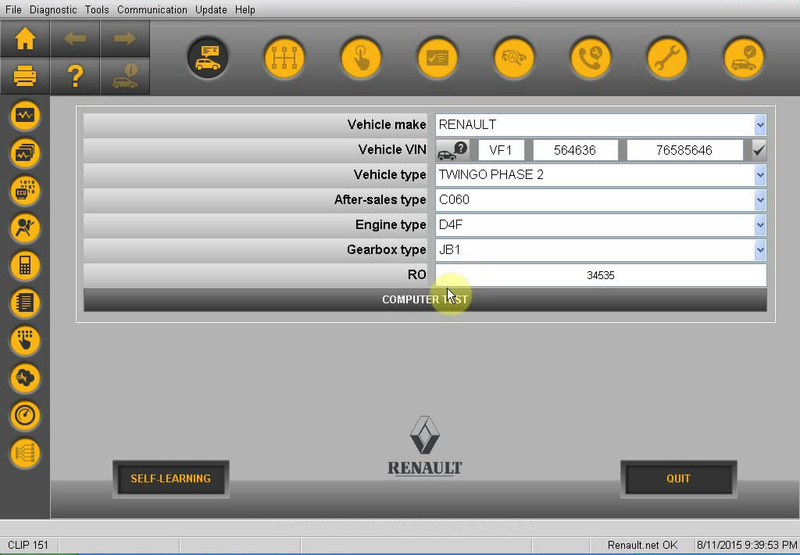 A: It also needs to register after you reinstall the software, this error picture suggest that you did not install the software properly, please watch Renault can clip video in the “Video” column, the video shows step-by-step install Renault Can clip. Q: How can I change English into French? A: When install the software, you can select the French, but after you complete installation you cannot change the language. So, you have to uninstall the software and reinstall it, during installation, select language French. Q: I try to open Renault can clip CD in several different computers, nothing in the CD. A: Check whether it has the carving trace at the back of CD, or if the CD Boot Sector is broken. Q: I try to install the CAN clip software on different computers, but it always shows me this error reading ”SPX CLIP Registration Client”as the following picture shows. A: Please follow our video or PDF instruction to correctly step-by-step install the software, and also install the software on the computer with XP operation system, better American English Professional version system. Q: Does Renault Can clip work with Renault Megage 2 Phase 2 2008-2010? Can it read out and set Wheel valve information? Can make key and support wiper blade? A: Renault CAN clip only support diagnosing, it can’t make key. Q: Connected to the car and four lights are lit Prompted for this content: 5800 window, units of measurement appear 104Error 5800: Please check the power supply is connected, the normal connection indicator light red flashes. If it is any problem of these two situations: reconnect, wait about 10 seconds before verification. Q: Does Renault CAN Clip support analyze and test the status of Renault Megane II 2003 year up, and test the switch of electric windows. Q: When I try to program with Renault CAN Clip, no communication, what’s the problem? 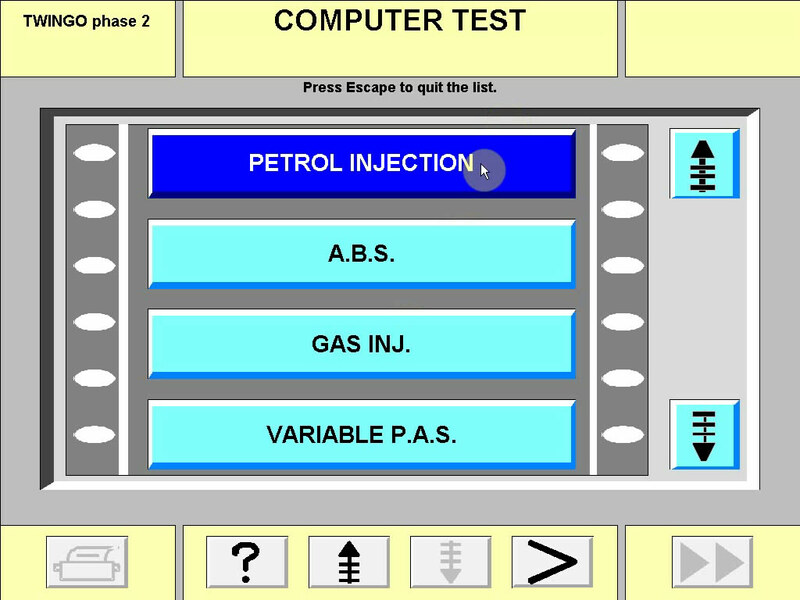 A: Renault CAN Clip we supply only support diagnosis, not support programming. A: Yes, it can do Renault cars before 1996, but please tell me your car information in details, and then I can check for you! Q: What is the difference between Item No. SP19-B and Item No. SP19-A? A:The two item are almost the same. They have the same function. The difference is that they are made by different manufacturers. The stability and quality of SP19-A is better than SP19-B.